Eight horse and rider combinations will fight it out for the big title in the CCI3* at the Puhinui International 3 Day event over the weekend in Auckland. Each of the riders has a good chance of success, but perhaps age and experience will give some the edge. Matthew Grayling has had a wonderful career including representing New Zealand at the 2004 Olympics but certainly isn’t finished yet. 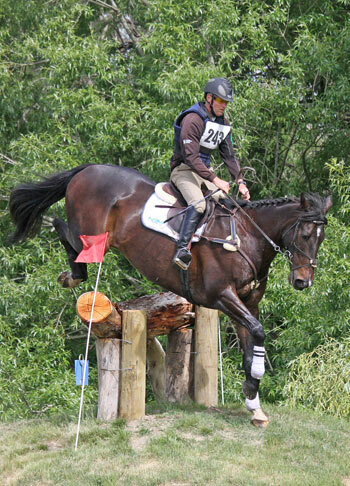 He has recently been in the winner’s circle when he took out the main eventing class at Rotorua. Experienced campaigner Brent Jury has travelled up from Christchurch to win this title and his horse loves this course. Local riders Simon Gordon, Dannie Lodder and Angela Lloyd will all have a good go at winning. Lloyd will be looking to add the Puhinui title to her National one day event title, recently won in Christchurch with Song. Youngsters Abby Lawrence, Tessa Jacks and Kelsey Rothery will be very keen to take out what would be the most significant title in their careers to date. World number one ranked eventing rider Andrew Nicholson will be on hand forthe beginning of the competition, including the first veterinary inspection the horses need to pass on Thursday afternoon. On Friday morning, Nicholson will lead a cross-country walk where members of the public can accompany him to view the challenging fences and hear his views on how to tackle them. There will also be an opportunity for fans to hear Andrew being interviewed by fellow Olympian, Blyth Tait at lunchtime on Friday. Nicholson flies back to his UK base on Friday night. Donna Smith, pictured on Balmoral Sensation. Another top competition will be the CCI2* where a field of 34 of New Zealand’s top riders young and old go head to head. Sarah Broughton, Virginia Thompson, Sophie Wilkinson, Jessica Wood and Amanda Pottinger will be ones to watch, as will Samantha Felton, who comes into this event with good form behind her, having recently won national one day championships. Then there’s the experience of Campbell Draper who has shown consistent results with Mr Mancini and Donna Smith, recently returned from competing at the Adelaide 4*. International eventer Clarke Johnstone has the ride on the talented Leo Degas, usually ridden by Canterbury’s Sam Taylor. Johnston has recently returned to base himself in NZ and he will be looking to continue his winning form at this event, winning the CCI1* last year. Fellow South Island international Annabel Wigley has Benrose Rockstar entered and shouldn’t been discounted. In the CCI1*, 42 combinations have entered, including Dannie Lodder and Donna Smith who each have three horses entered. Dannie and Donna, together with Courtney Romcke and Sophie Wilkinson are in for a busy weekend as these four will be competing on four horses each in various classes over the weekend. One to look out for in the CCN105 is Kylee McCambridge who has been producing amazing results with her talented Amazing Spy. All eyes will be on her dressage test to see if she can produce another sub-10 total score.